Players start out on their own, private compound where they earn valuable upgrades while honing their racing skills – upgrades include gear, parts, MX bikes, ATVs and UTVs. 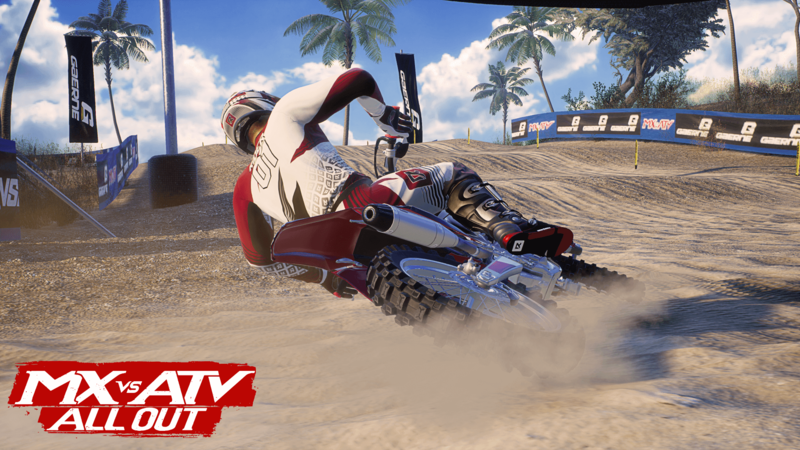 Players can choose to explore massive open-world environments or compete in Supercross, Nationals, Opencross, Waypoint, and Tag events on all the biggest tracks with many top pro riders from around the world. All of this plus an insane stunt system in freestyle mode, two-player split-screen, and 16-players competing online.